Little Bit Funky: easy chicken tortilla casserole! We made this for dinner the other night and it was SO good! SO good I had to share! Super easy and super tasty! My favorite combo! 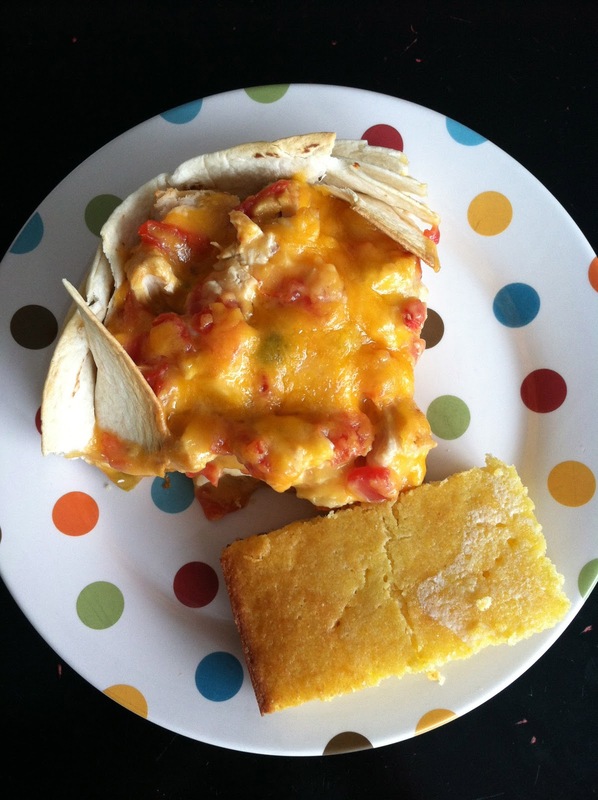 Mix together cooked diced chicken, soup, cheese and Rotel. Layer 3 flour tortillas on bottom of greased square dish (the edges of the tortillas will hand over the top), then ½ of mixture, then 3 more tortillas, then the other ½ of mixture. Cover and heat at 375° for 20 min.